Do you like oysters? I hope you do because I have another oyster recipe to share today! 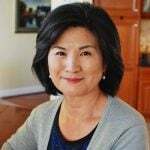 If you remember my Trip to Korea Part 1 post, I talked about our first meal in Korea at a restaurant specializing in oyster dishes. We ordered guljeon (굴전, pan-fried battered oysters) to share. 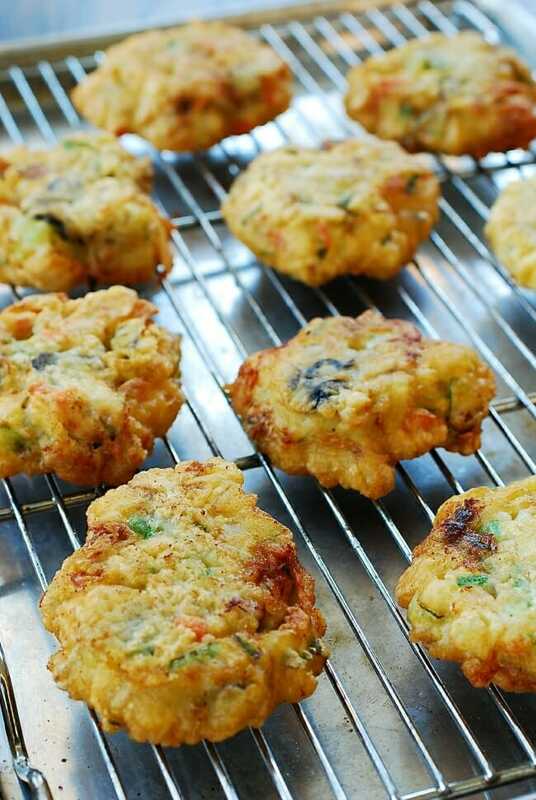 To everyone’s delight, what came out was a big plate full of golden brown, fritter-like oyster treats — nothing like the guljeon I was expecting. 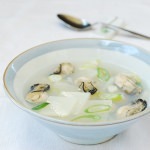 Traditionally, guljeon is egg battered and individually pan fried. 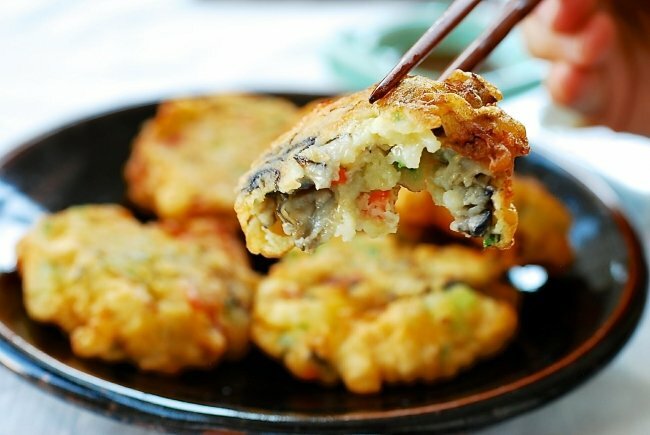 The restaurant’s version was made with the typical savory pancake batter like the one used for pajeon, loaded with oysters, and fried to perfection! I’ve recreated it here for you! First things first, oysters are seasonal during cold months. I’m sure you’ve heard the advice “only eat oysters in months that contain the letter “R” (September through April). If you’re in Korea, you should be able to find the freshest oysters all over the country right now. 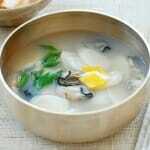 We can find some of those, in a frozen state, in Korean markets around here. 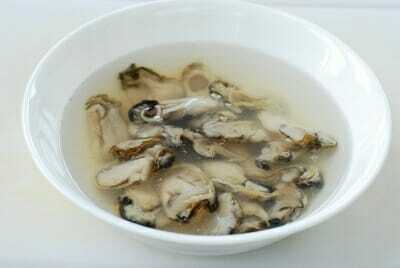 Jarred fresh oysters are fine for this recipe as well. For the batter, I used buchim garu (부침가루) Korean ready-made pancake mix) along with a little bit of potato starch to add extra crispiness to the pancakes. 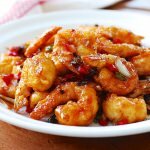 If you don’t have ready-made mix, which is flavored and seasoned, simply use all purpose flour and add some minced (or powder) garlic and/or ginger, and season with salt. 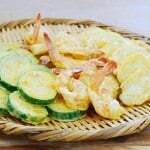 This recipe uses minimal vegetables. I used carrot, scallion, and mushrooms. 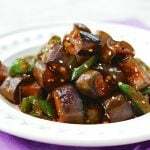 Zucchini, chili pepper, garlic chives, red or orange bell pepper, and onion are all great options as well. 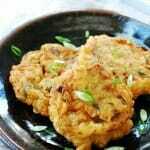 The restaurant obviously deep fries their guljeon in a generous amount of oil for an extra crispy and crunchy exterior while keeping the interior delicately soft. That’s what I did here. Of course you can use less oil if you’d rather cut back on calories. 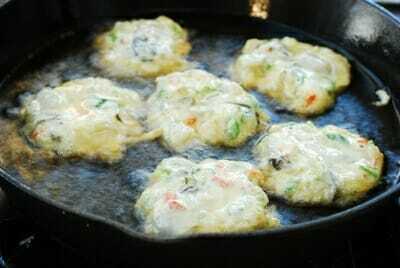 Simply pan fry as you would do for other Korean savory pancakes such as hobak buchim, kimchi jeon, and pajeon. The results will be delicious either way! 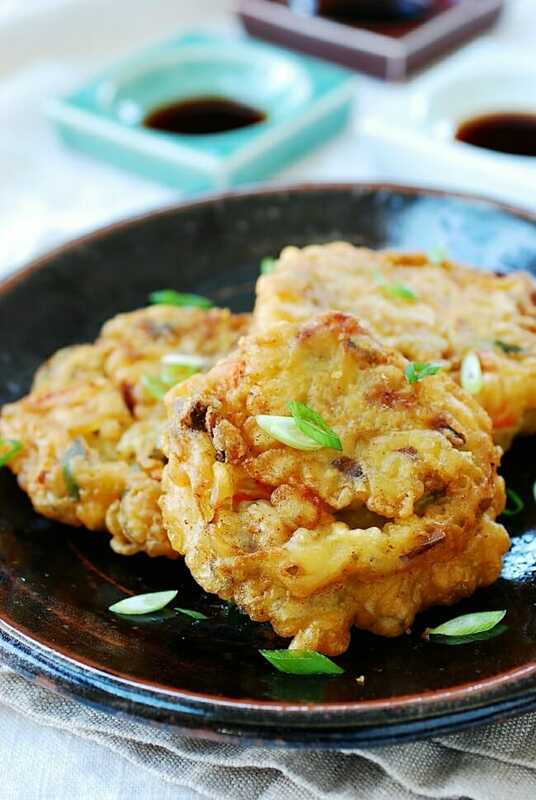 Crispy guljeon is Korean-style oyster fritters! 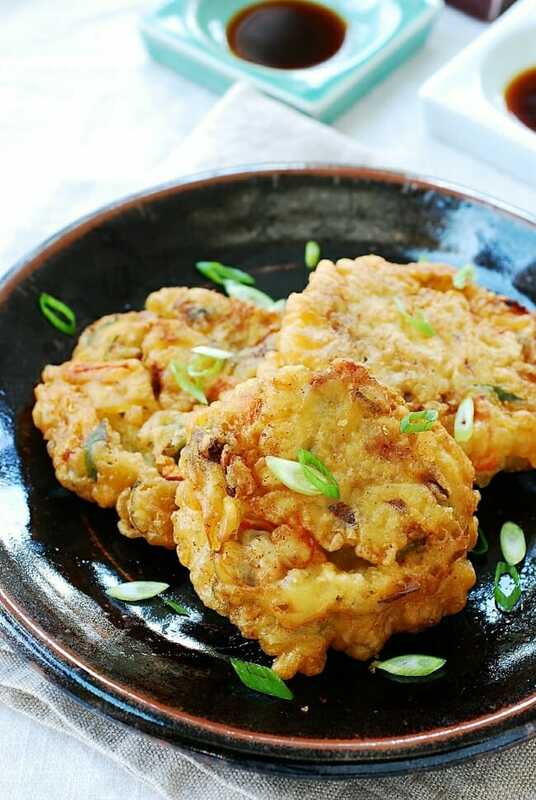 Made with the typical savory pancake batter, loaded with oysters, and fried to perfection! Clean the oysters by gently swishing them around in salted water. Drain. Rinse again in clean water and keep them in a strainer over a bowl to drain well. 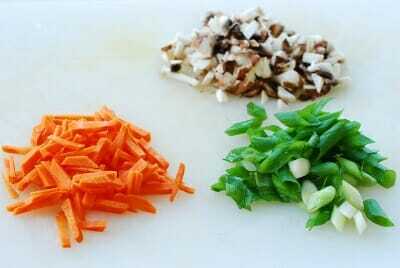 Finely chop the carrot, scallion, and mushrooms. In a large bowl, combine the pancake mix, starch and baking soda and whisk well. Mix with 3/4 cup icy cold water. Add a tablespoon or two more if needed. The batter should be slightly thick but still runny. 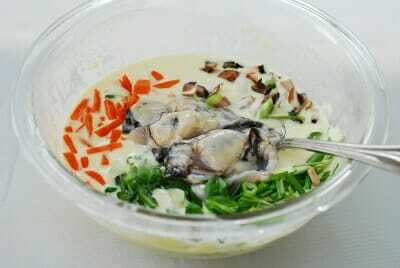 Mix the oyster with the sesame oil, and then add to the batter along with the vegetables. Heat 1/4-inch oil in a non-stick pan over medium high heat. 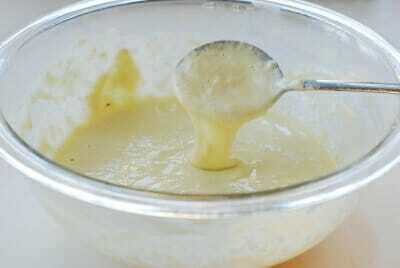 Add about 2 heaping tablespoons of the batter, and spread it evenly into a small round shape. Depending on the size of your pan, you can cook 5 to 6 pancakes at once. 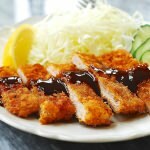 Cook until the bottom is golden brown, about 2 minutes on each side. Repeat the process with the remaining batter. 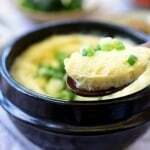 Serve hot with a dipping sauce. 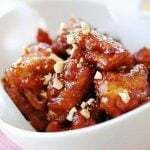 To substitute the buchim garu, use 1 cup flour, 1/2 teaspoon minced garlic and 1/2 teaspoon salt.